Using credit card balance transfers to manage debt. If you have landed on this site because you are searching the internet looking for credit card debt relief, you may already be familiar with a term we describe below called the credit card “balance transfer boogie”. By familiar, I of course mean you have already danced to that tune. Many people looking for debt relief and credit card payment solutions have been there and done that. If, by chance, you’re looking for debt relief options and still have the ability to effectively use credit card balance transfers in a manner that truly makes your monthly payments more affordable, it’s worth talking about. You can take credit card balances that have high interest rates, and transfer those balances to a lower interest credit card you already have open, or apply for a new card with a low introductory interest rate. If you need to open a new credit card to transfer balances on to it – your credit needs to be in good shape. Your list of accounts and amounts owed are such that you can transfer balances from high interest credit card(s) to lower interest account(s), get the lower payment, that then leaves you money to put in savings every month. You should be certain that you can maintain the lower credit card payment until the balance is paid off before using this strategy. This would mean that you consider your income to be stable. You should put the credit card(s) that now have a zero, or lower balance due on them, in a drawer and not use them until you are out of credit card debt. Spoiler alert: Credit cards with recent balance transfers made to them, while negotiating a settlement for less than the balance owed on the card, is not a great idea. It can be done, but often at a higher cost that can be planned for. This would be when your special low-introductory credit card interest rates end, and the increased payment that comes later causes either the inability to pay, or finds you looking to make more balance transfers. This dance can end similar to a game of musical chairs where you find there are no balance transfer options left after the music stops. If you have already, or later find yourself dancing to the tune of “the balance transfer boogie”, you have likely either not been honest with yourself about your credit card debt; not maintained a commitment to reduce your debt; or have experienced an unfortunate financial setback. As discussed in a previous article about debt consolidation, there are far less opportunities to consolidate credit card debt given today’s economy. Likewise, there are much more limited opportunities to play the credit card balance transfer game. Banks have returned to risk adverse lending standards. You may need to already have an open and low interest credit card account with the room to transfer higher interest balances on to it. You need to be able to transfer enough of the balance from higher interest accounts to get the payment relief you need. If your credit is tarnished, or your current debt-to-income ratio and credit utilization is high, you could find it difficult to open a new account with a credit limit that would provide enough lower payment benefit after balances are transferred. Using credit card balance transfers as part of a debt relief tool, like the debt roll-up strategy, requires discipline. The discipline will be to not use the credit cards at all. Not the credit cards that now have a zero amount owed after you moved the balances, nor the accounts you transferred balances to. Unsecured credit markets froze up pretty solid at the start of the recession. This portion of the consumer lending system has thawed a bit at the time this article is being published. The credit card balance transfer options of a few years ago, the ones that allowed for 25k credit limits to transfer balance to, won’t likely return for most people. If you have questions about using, or having used balance transfers, to manage credit card debt, or you have a balance transfer story to share, post in the comments below. Include any of your favorite balance transfer cards with the best deals, and any offers that gave the worst deal. If you’ve fallen behind on your payments, then we can help you settle your debts with your creditor directly through our platform. Getting out of debt is confusing. Signup today to get a free debt consultation and we’ll show you your best path out of debt and help you get there. We have experts standing by to answer any questions you have about debt settlements, lawsuits and judgements. Michael started CRN in 2004 with a mission to provide people in need with detailed debt and credit help and education. Michael has participated as an expert panelist in federal consumer protection rule making, collaborated on state law changes governing debt consolidation, has worked as an expert witness in court matters related to the debt relief industry, and is a regular contributor to several personal finance websites. My husband was laid off in 2013 and when he got a new job we took a $25k annual pay cut. We have lived off credit cards to make up the difference and I currently have 3 balance transfers that will expire this summer to the tune of $40k. One is approx. $6k with an interest rate of 23.99% (through Upromise-Barclay), and then the other two are each $16k at 15.9% each (these are through USAA). This past year my husband only made $37k; at his previous job he easily cleared $60k. We are moving in November for a career change that will hopefully put us in a better financial situation, but it will take about 2 years to get there. I have all the debt in my name because I don’t work outside the home (we have 4 kids) and I wanted my husbands credit to be in the best possible shape in the event we do end up trying to refinance. My husband DOES have student loans and a car loan in his name; he is also the sole signer on our mortgage. According to FICO his score hovers around 766. I don’t know if I should try to refinance the house (currently owe $78k; last summer it appraised for $119k and has since increased in value) and use the cash out to pay off the credit cards or wait until we move in November and sell. My fear with selling is that we don’t have an immediate buyer and we don’t get the cash out that we need. I also considered doing another balance transfer to my husband’s credit cards, but know that will kill his credit – the same way it did mine. I am not a fan of balance transfers as a means to make debts more affordable. It can often end up a game of musical chairs. And given the goal so far has been to keep your finances separate, I like transferring balances to his cards even less. You have several options open to you. 1. 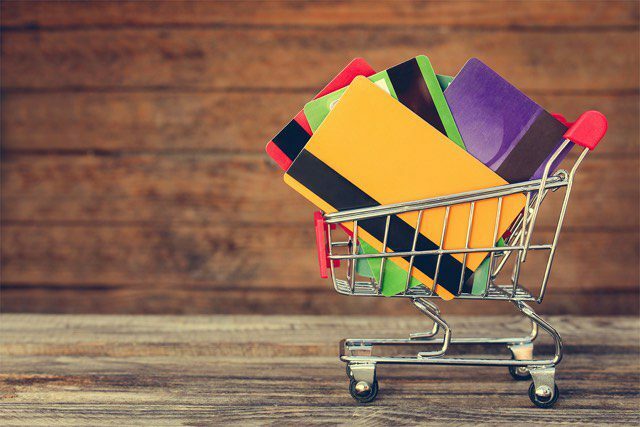 Enroll your credit cards into a debt consolidation program using a nonprofit. You can call a counselor for free and get an exact monthly payment quote at 800-939-8357, choose option 1. I would look to make this call now or closer to when your current low rates expire. 2. If you qualify for chapter 7 based on household income and exemptions, you could file bankruptcy independent of your spouse. 3. If payments using the debt consolidation approach are not affordable, and you cannot/will not file bankruptcy, you could look to settle your debts for less when funds from your sale become available. I cover that in great detail on this site. You can continue reading through the debt consolidation part of our debt relief guides and move on to negotiations and settlements by clicking through to the links at the end of each article (starting with the one at the end of this one above). You may be able to refinance and get cash out to pay off your existing balances, but you will likely not be able to get the full amount of equity out. This might be more of a half solution (his lower income could be a problem with qualifying). What are you most inclined to do given the information you have researched thus far? When I looked into refinancing last summer; the only issue was that the debt was shared at that time. I have since removed my husband from all cards that have debt so it isn’t reporting in his name. I am not inclined to file bankruptcy at this time. I know that once my husband starts this new career our finances will drastically change; it’s just a matter of holding on until then. I considered refinancing the house and renting it out when we move. We could easily get $1300/month and our mortgage currently runs $740; but I have also just learned that our mtg holder hasn’t had our property appraised since 2012 and we should have been able to do away with our PMI some time ago. I could refinance, cash out about $40000, rent the property for the ‘start up’ time with my husband’s new job and then sell after about 2 or 3 years. The cash out would allow me to take care of the better part of our debt and if I had to, I could transfer the smaller part to another of my cards until we are able to pay it off. I really like what you laid out. Long term planning by renting the house out would be great, even after the monthly payment goes up from the cash out refi. Would you consider your home highly desirable as a rental (size, comparable rents, close to a highway, good schools)? Our house is 5 bed 3 bath 2681 square feet. It’s actually 4 bed, but our master has an en suite we have enclosed and are using for a nursery- it could be an office or whatever. Zillow values our house at $156k and again, we owe $78; but Zillow was off about $20k from what our last appraisal ran. We do have good schools, we are five miles from the interstate and shopping mall. I will have the entire house repainted, new carpet upstairs (downstairs is hardwoods) and freshen up our curb appeal. I know that will incur some more costs; but I need to get the best appraisal I can. My husband is also a Veteran, so I know there are some great refi options available. That is the direction I would go. It would be good to make the move and the fresh career start with as little debt as possible. First thank you for all of the support and answers you offer. You are already assisting me on another Q&A about Midland – I have a general question. So we went through a major financial set back a couple of years ago with employment issues and non-covered medical. We had 2 other credit cards besides the one that Midland bought the balance on that have gone to collections; totaling about$1500 at this point and the balance of medical bills equals about $3,000. We’re trying to repair and get back on track. Do you feel that working out payment plans with the collection agencies and healthcare companies is the best choice now that consolidation loans are so difficult to obtain? How small a payment do these generally accept? I don’t want to get in over our heads again with commitments we cannot keep. Ruth – Consolidation loans and balance transfer offers with new credit cards are going to be off the table for you given the normal credit score drop that comes with the personal financial struggle you outlined. That pretty much leaves settling the collection accounts, or getting set up on payments you can afford. Do me a favor. Add up all of your unsecured debts (Midland, medical, all collection accounts from credit cards, current credit card balances) and post that total in a comment reply. Once you do that, I will take you through a couple of thoughts on what to consider next. Thanks- The total unsecured is $8723 when I factor in Midland’s settlement offer or $10,626 with their total amount due. Ruth – I responded with additional feedback on the other page regarding your collection lawsuit. With the amount of debts you have, and given there are really no consolidation loans available in your situation, you may want to look at handling your settlement for 50% with Midland on your own, and then speak with a credit counseling agency about getting your other 2 collection accounts and the medical bills set up in an affordable monthly payment. It is fairly rare I would encourage someone to work through collection accounts in a debt management plan, but with about half your outstanding debt being medical bills, it could make sense. 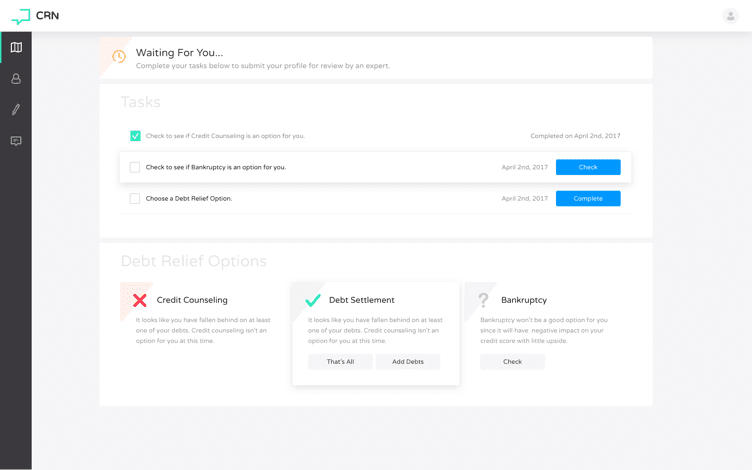 I would encourage you to look at credit counseling as a way to consolidate your bills (even though in collection), into an affordable monthly payment. Not the Midland one though, as that has progressed to a legal collection stage. If you want to do the needed research for this, you need to speak with a certified credit counselor. You can reach one by dialing the number you see the immediate upper right of this page, where it says “Lower your monthly credit card payments”. Thanks Michael, yes I read the other remarks. It is tempting to consider a chapter 7 and to start over- then I feel I should do the right thing and set up a payment program. I’m sure there is a lawyer I can speak to this week and most probably make the numbers work for the means test. The last time I spoke with Consumer Credit Counseling Services they told me they could not assist with medical or collection agencies so I will call the number here and talk to someone. What to do what to do….thanks. Ruth – It is true that not all accounts can be accepted into a debt consolidation plan with a credit counselor, collections included. Medical debts are fairly common to include in a DMP. The counseling agency you will be calling is DOJ approved for pre and post bankruptcy certificates that are required with chapter 7’s now, so that could come in handy. Doing the right thing when it comes to debt repayment, whether consolidation, managing each account one by one, or settling, is all relative. The inability to repay debts to a lender or service provider is built into our commercial and economic system. If you are going to use, or feel you have to use, balance transfers to solve your debt problems you’re already in bigger trouble than you know. My wife and I tried to do this to pay down our debt and it didn’t work. What it did do is build our debt to a point we could not deal with. What we failed to realize was that we were not responsible with credit and getting more was like a drug addict getting more drugs to solve his problem. The article is right, if you are able to get these low credit card offers you have good credit, therefore you should not need to move credit from one card to another. This was our situation. We had good credit and a good income so the new credit card offers were not only for great transfer rates but were usually for more credit then we needed. We started with Bank of America and built a balance then got a good transfer rate from Chase and transferred it there thinking we would pay it off in no time. Instead we reused the original Bank of America cards again. This was no problem because our income allowed us to pay the minimums easily. It became a brutal cycle and in the end we had cards in her name, my name and both our names from B of A, Chase, Citibank, Discover and anyone else you could think of. We had so many cards I couldn’t keep them straight. It was amazing how the credit card companies don’t care how much you owe them until you can’t make that monthly payment. Their plan is to get you to pay the minimum until you die. My wife and I are well educated people and this was very embarrassing for us but it did happen and can happen to anyone. If you are going to do the balance transfer boogy, you better be very disciplined and in total control of your ego – but you probably are not, otherwise you wouldn’t have to do balance transfers in the first place. Thanks for sharing your experiences using credit card balance transfers as a form of debt consolidation Chris. Over how long of a period were you actively transferring balances from one credit card to another? It took us years of balance transfers until we could not keep up with the payments. It was slow at first but as the balances built the transfers came faster and more often.